Our dogs love the great outdoors. Unfortunately, swaths of the great outdoors that are protected as National Parks don’t always love our dogs. You can bring your dog to many national parks. Acadia National Park offers 100 miles of pet-friendly hiking trails, and of the 500 miles of hiking trails in Shenandoah National Park, only 20 are off limits to your pooch. Other parks are much stricter. Some don’t allow dogs past the parking lots. Pet restrictions are put in place to protect our dogs and the environment, and we’re all for that. But it’s still disappointing when you can’t bring your dog camping or hiking in one of those gorgeous destinations. Fortunately, most national parks are near spectacular state parks and national forests, which tend to be more relaxed when it comes to pets. Here are five of the least dog friendly national parks, and nearby pet-friendly alternatives. Great Smoky Mountain National Park is America’s most-visited national park, but that statistic definitely doesn’t include dogs. Although dogs are allowed on two short walking trails, they’re off-limits on every other trail in the park. 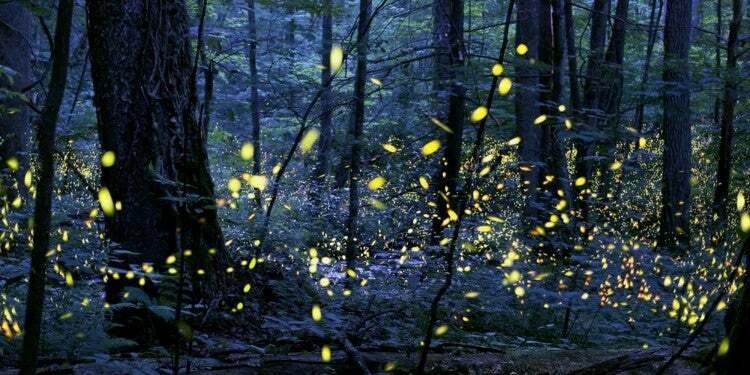 It’s OK to have them at a campground, picnic area, and along roads, but they must be leashed at all times. Instead, bring your dog hiking at DuPont State Forest in North Carolina, where there are more than 90 trails, all of which are open to dogs. Water dogs will love splashing into the many lakes and waterfalls along the trails, too! 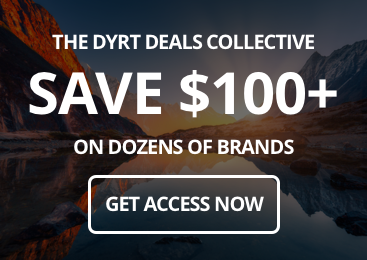 Image from The Dyrt camper Kelly Z. If your dog is dreaming of seeing the Rockies, he or she will sadly have to do it from a leash in the parking lot as this destination is one of the least dog friendly national parks. Dogs are not permitted on trails or in the backcountry, and must be leashed along established roads, campgrounds, and picnic areas. Instead, try camping in Estes Park Campground at East Portal or the Estes Park KOA — both are dog friendly and offer tent and RV sites, plus hookups. 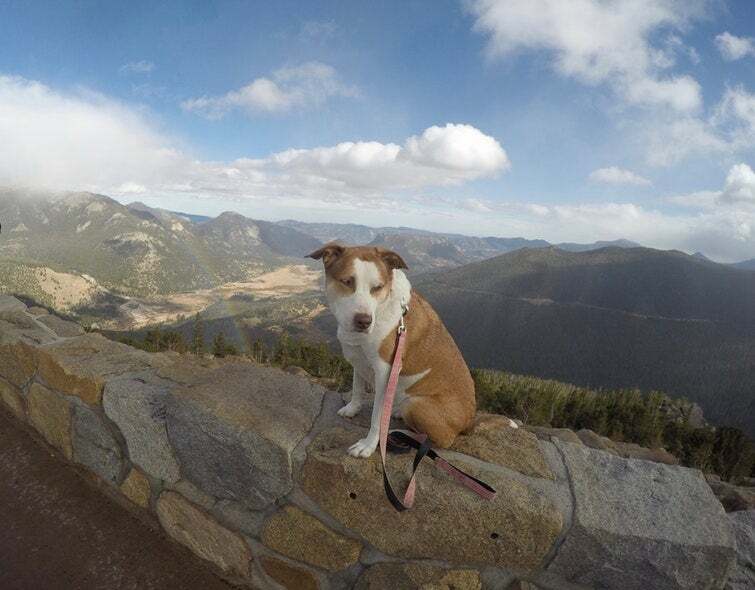 There are lots of dog friendly hikes in Estes Park (a town next to Rocky Mountain National Park) including Lily Mountain and Buchanan Pass Trail. Estes Park Campground at East Portal // Image from The Dyrt camper Daniel S.
“This Campground was beautiful! This has become one of our favorite campgrounds and we try to stop here at least once a year. 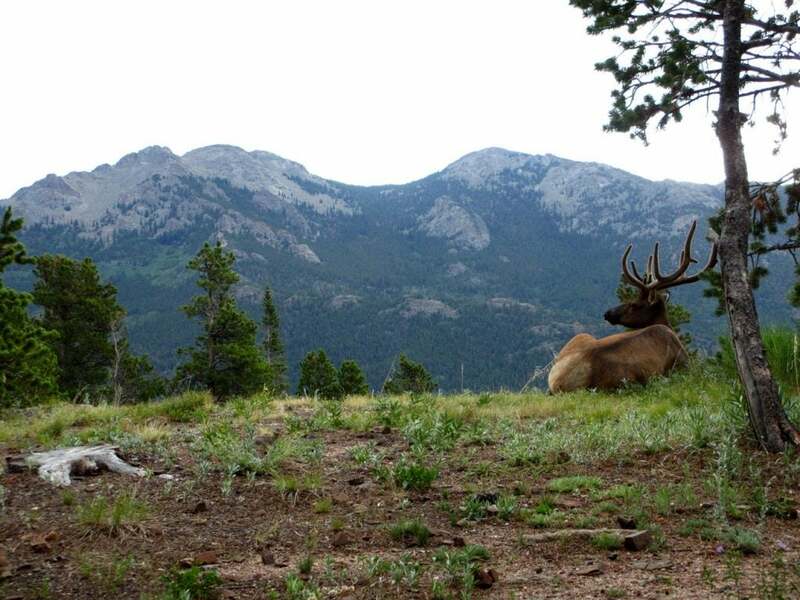 I would highly suggest booking a site as soon as possible as campsites fill up very quickly,” writes The Dyrt camper Pam B. of Estes Park campground at East Portal. 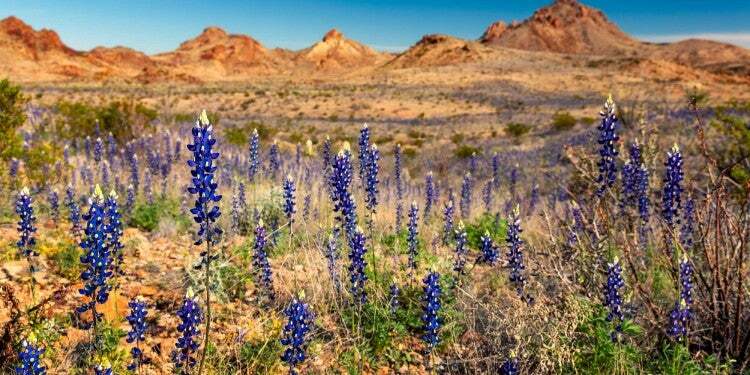 This is one of the most remote national parks in the country, tucked along the western edge of Texas where it shares a border with Mexico. Unfortunately, your dog is not allowed on trails or in the river. Basically, dogs can only go where cars can go. Instead, try Pedernales Falls State Park, where waster cascades over slabs of limestone that’s been around for over 300 million years. Your pooch might not appreciate the geologic history, but they will love the many opportunities to play in the water. The Pedernales Falls themselves are off-limits for both humans and dogs, but there are lots of opportunities to get wet in the river and pools further downstream. Just keep an eye on the river banks for mud or a sudden rise in water level — flash floods happen quickly, here. 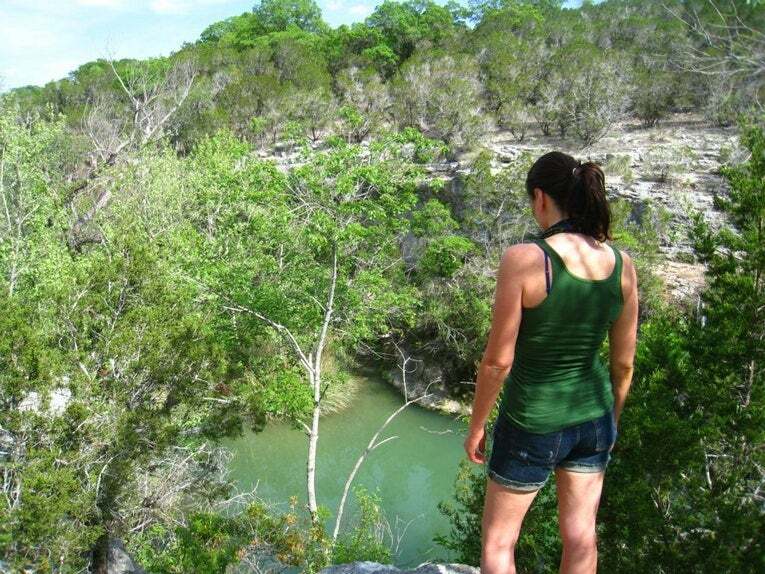 Pedernales Falls State Park // Image from The Dyrt camper Jennifer W.
“Lots of places to swim, tube, kayak, etc. in varied water. Really like the rocky swimming areas by the main falls. Lots of trails, mountain biking, activities. Camp sites were really private, wooded, and large,” writes The Dyrt camper Harry H. of Pedernales Falls State Park. Image from The Dyrt camper Elliott B. One of America’s most-loved national parks is also one of the worst for your dog. Pets must stay within 100 feet of roads, parking areas, and campgrounds. 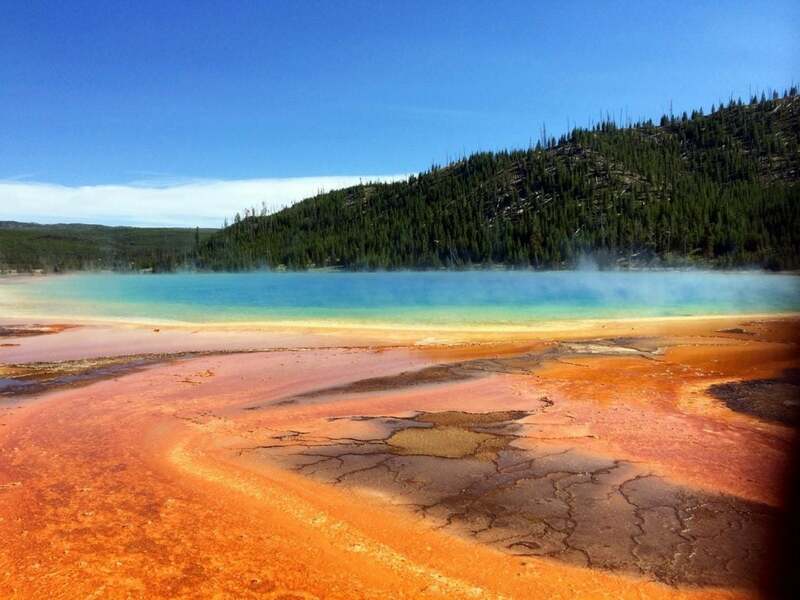 Which makes sense — dogs probably won’t understand the delicacy or volatile nature of Yellowstone’s landscape, where water boils beneath the surface of the Earth and geysers shoot into the air. Not to mention the 150 grizzly bears that call this park home. You definitely don’t want your curious dog to sneak up on a grizzle. Yellowstone is an incredibly cool place — but it is not one of the dog friendly national parks at our disposal. When they are outside of the vehicle, dogs must be crated or leashed. For a Yellowstone National Park alternative, head over the state line into Montana’s Custer Gallatin National Forest, where you’ll find plenty of opportunities for free dispersed camping. 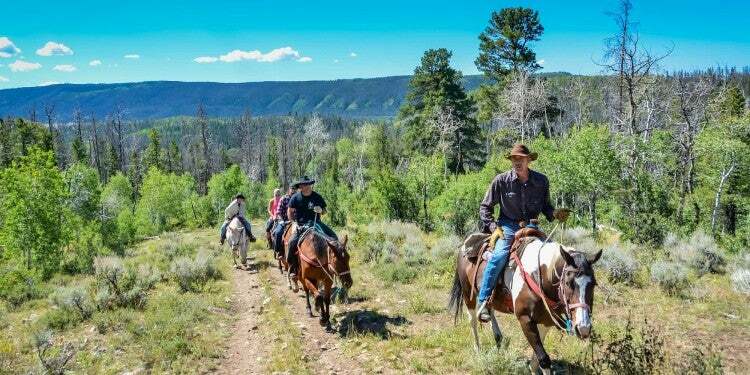 Covering over 3 million acres, Custer Gallatin offers as much variety as you’ll find in Yellowstone, with fewer dog restrictions. You’ll find rolling prairies and snow covered peaks, and plenty of wildnerness to explore with your dog. Keep in mind that fewer restrictions don’t necessarily mean fewer risks for you and your dog. You should still take precautions — research the specific section of the national forest that you’ll be visiting, and take proper precautions for bears and unpredictable wilderness. Popular trails for dogs in Custer Gallatin National Forest include Palisade Falls, a short out and back, and Hyalite Creek Trail, which offers 12 difficult miles and a waterfall. Both trails require leashes. 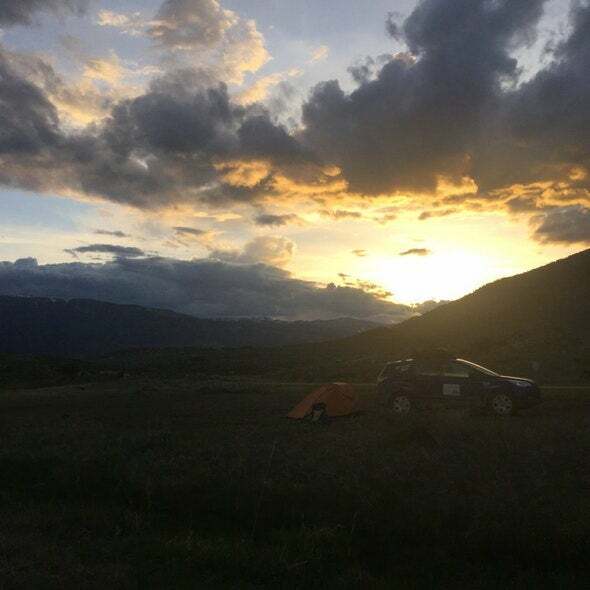 “Instead of camping somewhere in the park, we decided to drive through Gallatin National Forest, to the north of the park, until we found a good place to camp. We found a perfect overlook where we pitched our tent and watched the most gorgeous sunset. The best part? No people around for miles and miles,” writes The Dyrt camper TheSwitchbackKids on Dispersed Camping in Custer Gallatin National Forest. If you want to take your dog hiking in Zion National Park, you’re (mostly) out of luck. There is only one dog friendly national park trail in Zion; Pa’rus trail is paved and also open to bicycles. 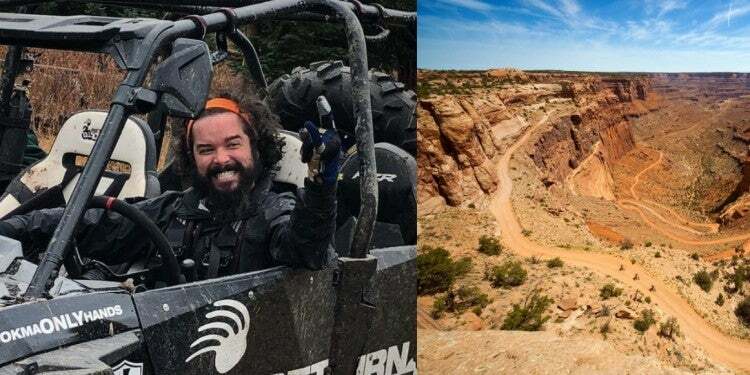 Your pup is not welcome on the rest of the trails in Zion, where steep drop-offs, narrow paths, and slot canyons are just too dangerous for our fur-babies. And since Zion National Park is hot, hot, hot (in the summer months) dogs probably won’t have much fun hanging out at the campground, either. These restrictions will leave you both wanting more. 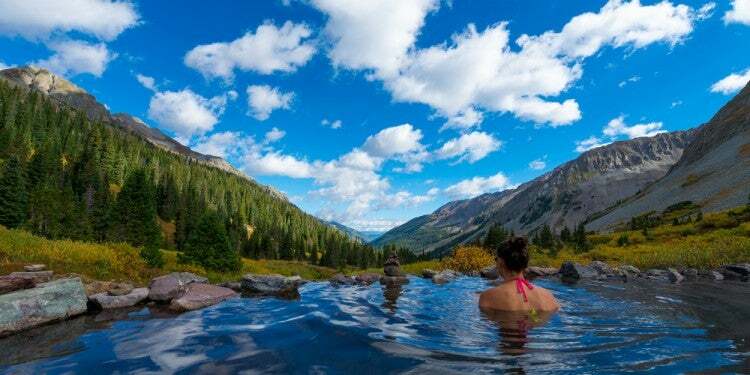 Instead, try Dixie National Forest. The park is on the edge of Zion, and there are a whopping 1,600 miles of trails where you and your dog can play. Red Rock Canyon, about three hours from Zion, is a favorite with climbers, hikers, and dog owners because of its unusual limestone formations and plentiful trails. Red Rock Canyon Campground is dog friendly and surrounded by a colorful sandstone landscape, similar to that of Zion. Red Rock Canyon Campground // Image from The Dyrt camper Brittany F.
“Great campground really close to Vegas (at night you can see that light beam from the Luxor). It appears that they keep adding more awnings over the picnic tables, and there are nice little benches around the fire rings. 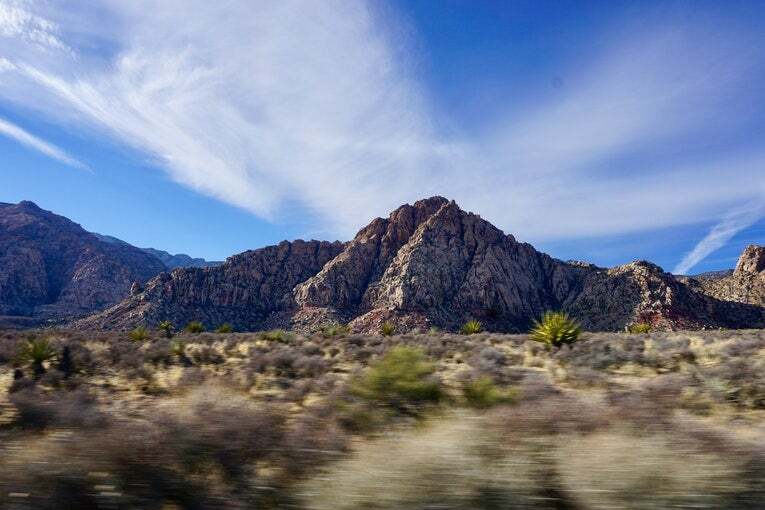 No showers, but nice bathrooms and you can get cell service (if that is important to you),” writes The Dyrt camper Annie C. of Red Rock Canyon Campground. Looking for more information on which campgrounds are near dog friendly National Parks and their alternatives? 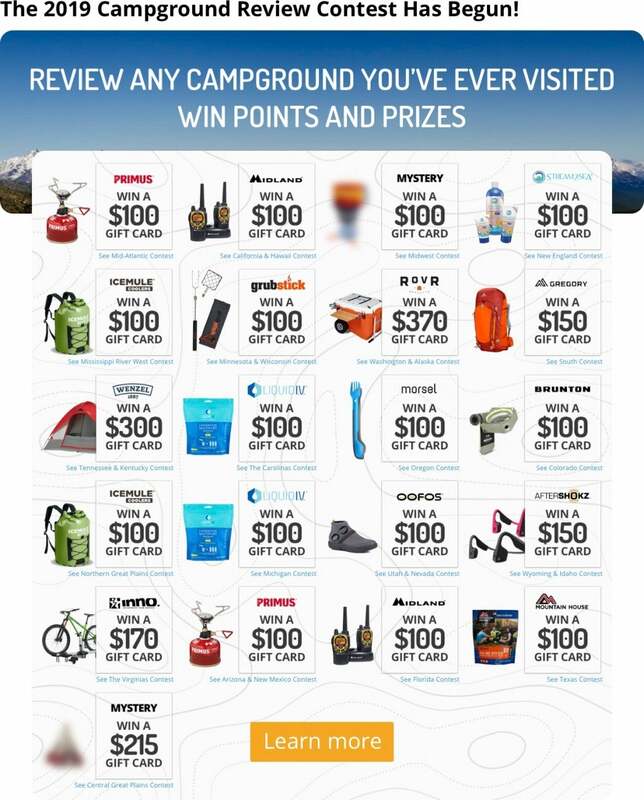 Search your National Park destination on The Dyrt and read reviews from campers and dog owners who have been. If the park doesn’t sound quite right for you and your pooch, you can search for alternative campgrounds nearby!